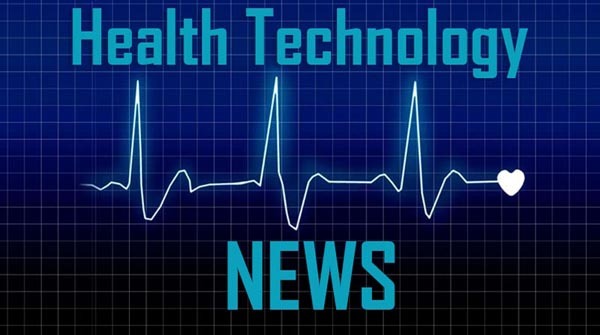 SOUTH SAN FRANCISCO, CA / ACCESSWIRE / March 28, 2019 / VistaGen Therapeutics (NASDAQ: VTGN), a clinical-stage biopharmaceutical company developing new generation medicines for depression, social anxiety disorder and other central nervous system (CNS) diseases and disorders with high unmet need, today announced that the Australian Patent Office (IP Australia) has granted a patent related to methods of treating depression with AV-101, VistaGen’s oral drug candidate in Phase 2 development for treatment of major depressive disorder (MDD). The newly issued Australian Patent No. 2014209466 is a counterpart to U.S. Patent No. 9,993,453 granted to VistaGen by the U.S. Patent and Trademark Office in June 2018, and will not expire until at least 2034. According to the World Health Organization (WHO), MDD affects nearly 300 million people of all ages globally and is the leading cause of disability worldwide. Individuals with depression, including MDD, experience continuous suffering from the serious, biologically-based disease which has a significant negative impact on all aspects of life, including quality of life. While current antidepressants are widely used for treatment, large-scale studies have suggested that the drug-treated MDD market is substantially underserved by current medications. VistaGen Therapeutics is a clinical-stage biopharmaceutical company developing new generation medicines for multiple CNS diseases and disorders with high unmet need. VistaGen’s CNS pipeline includes three drug candidates, AV-101, PH10, and PH94B, with potential for at-home use, rapid-onset therapeutic benefits and exceptional safety. Each CNS drug candidate in VistaGen’s pipeline is either currently in or has completed Phase 2 clinical development. PH10 nasal spray is a potential first-in-class CNS neuroactive steroid with rapid-onset antidepressant effects observed at microgram doses and without systemic exposure. PH10 is in Phase 2 development for MDD. PH94B nasal spray is a potential first-in-class CNS neuroactive steroid with rapid-onset effects observed at microgram doses and without systemic exposure. Phase 2 and pilot Phase 3 development of PH94B for social anxiety disorder (SAD) has been completed successfully, and PH94B is now being prepared for pivotal Phase 3 development as an on-demand PRN treatment for SAD. This release contains various statements concerning VistaGen’s future expectations, plans and prospects, including without limitation, our expectations regarding development and commercialization of our drug candidates, including AV-101 for MDD, neuropathic pain and suicidal ideation, PH94B for SAD, and PH10 for MDD, as well as our intellectual property and commercial protection of our drug candidates, all of which constitute forward-looking statements for the purposes of the safe harbor provisions under the Private Securities Litigation Reform Act of 1995. These forward-looking statements are neither promises nor guarantees of future performance and are subject to a variety of risks and uncertainties, many of which are beyond our control, and may cause actual results to differ materially from those contemplated in these forward-looking statements. Among these risks is the possibility that (i) we may encounter unexpected adverse events in patients during our clinical development of any product candidate that cause us to discontinue further development, (ii) we may not be able to successfully demonstrate the safety and efficacy of our product candidates at each stage of clinical development, (iii) success in preclinical studies or in early-stage clinical trials may not be repeated or observed in ongoing or future studies, and ongoing or future preclinical and clinical results may not support further development of, or be sufficient to gain regulatory approval to market AV-101, PH94B, and/or PH10, (iv) decisions or actions of regulatory agencies may negatively affect the progress of, and our ability to proceed with, further clinical studies or to obtain marketing approval for our drug candidates, (v) we may not be able to obtain or maintain adequate intellectual property protection and other forms of marketing and data exclusivity for our product candidates, (vi) we may not have access to or be able to secure substantial additional capital to support our operations, including our ongoing clinical development activities, and (vii) we may encounter technical and other unexpected hurdles in the manufacturing and development of any of our product candidates. Certain other risks are more fully discussed in the section entitled “Risk Factors” in our most recent annual report on Form 10-K, and subsequent quarterly reports on Form 10-Q, as well as discussions of potential risks, uncertainties, and other important factors in our other filings with the Securities and Exchange Commission (SEC). Our SEC filings are available on the SEC’s website at www.sec.gov. In addition, any forward-looking statements represent our views only as of the issuance of this release and should not be relied upon as representing our views as of any subsequent date. We explicitly disclaim any obligation to update any forward-looking statements.